Oster Elementary School celebrates every student’s strengths and talents. It provides a continuum of program options to help our students become successful. Intervention options include specialists for Title I, READ 180, RSP, speech and language, and the school psychologist. Additional services, such as the Deaf and Hard of Hearing program, occupational therapy and adapted physical education, are available to students with disabilities. Specialists engage, challenge and support students to thrive and reach their academic potential. Oster Elementary offers flex reading groups which provide instruction for all students within their zone of proximal development (ZPD). Title I is a federally funded educational program that provides assistance in grades K-5. The Title I program allows students to develop proficient reading skills by providing learning time and specialized instruction. The teacher promotes student interest and motivation using a wide variety of materials and state adopted texts. Oster's ELD program supports student acquisition of English in a school- wide and classroom- based structure, that supports essential language skills for students to become proficient in English. Students are assessed each Fall and are re - classified when English proficiency is reached. 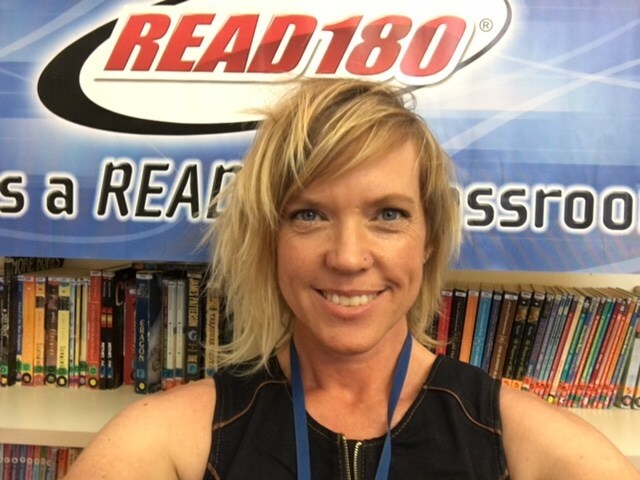 READ 180 is a high-interest, research-based reading curriculum designed to promote student literacy through a small, group, systematic approach. The 90 minute program is compiled of four components: whole group instruction, small group instruction, computer software, and independent reading time. Students receive time to read every day, learn to be active, engaged readers, and are inspired to achieve with frequent awards and recognitions. The resource specialist program provides specialized instruction and services for those students whose needs have been identified in an IEP. It may also include general education students in need of a more intensive instructional program for language arts or math as determined by school staff. This instruction is provided in a small group setting and may be pull-out/push-in and progress of students on IEPs is monitored on a regular basis, at least every trimester. The goal of the program is to provide students with specialized instruction to help them develop the necessary skills to be successful with the general education curriculum. In addition, the resource specialist provides assistance to the parents through ALL (formerly known as Student Study Team) or IEP meetings. This support includes academic testing for suspected disabilities, consultation, resource information and materials. The Speech and Language Program is a Special Education Program designed for students who have an identified speech and/or language disorder which significantly interferes with communication and/or adversely affects education performance. Areas of disability is speech and language include: Fluency, Voice, Expressive/Receptive Language (including semantics and syntax, Articulation, Phonology, and Pragmatics. Students are typically pulled from class to see the Speech & Language Specialist in a small group setting to strengthen areas of weakness.